We have a commercial kitchen where we prepare hot and cold food for take-out from Monday to Friday, 11 am to 1 pm. We offer delivery in the Santa Fe area for a $10 flat fee, too. Click here to start an order. The sauce is a secret recipe, and it’s not complicated. But good gol’ dang, it’s good! Our rub rocks, too. Both served on the side at all events. 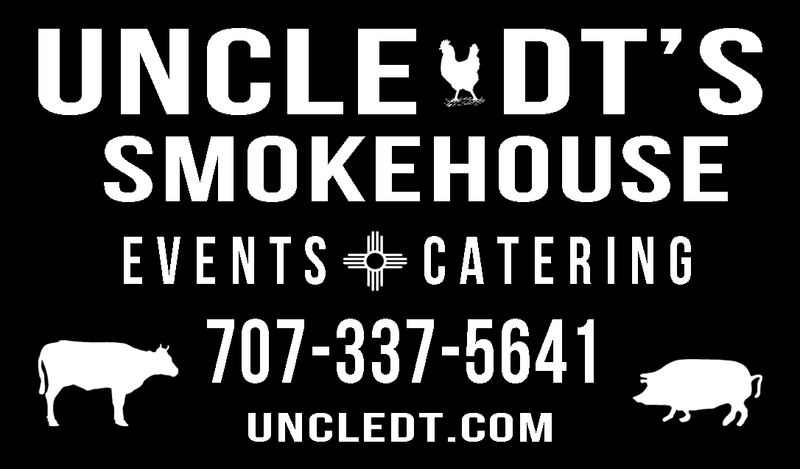 One of DT’s favorite compliments is when a customer raves about the amount of ‘smoke’ on the meat. Simply said, we do not over-smoke. It is gentle, but prevelant.